It's a puzzle, a brainteaser, and an eraser set all in one. 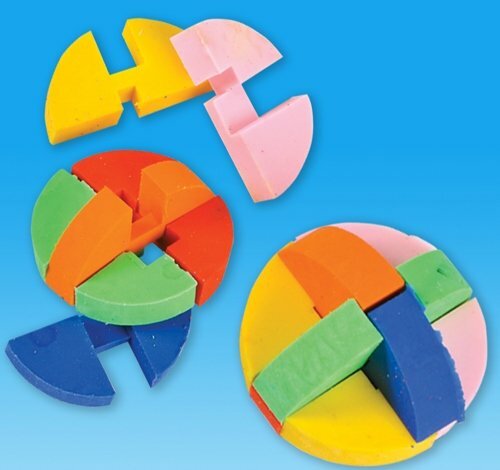 These puzzle erasers are great Back To School prizes. Each set in blister card packaging.